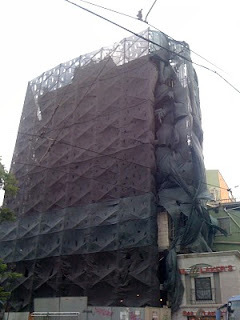 In Istanbul construction works are shrouded in slashed fabric. We decided this one was like a goth block, dressed in something by Comme des Garçons. Perhaps the builders were doing an homage?